Herbet, IV, 1900, 306, (1969, 156), VI (Petits Cartouches), 20. COLLECTIONS: Amsterdam (De Jong and de Groot, 1988, 228, 542.20). New York, 65.525, no. 6. 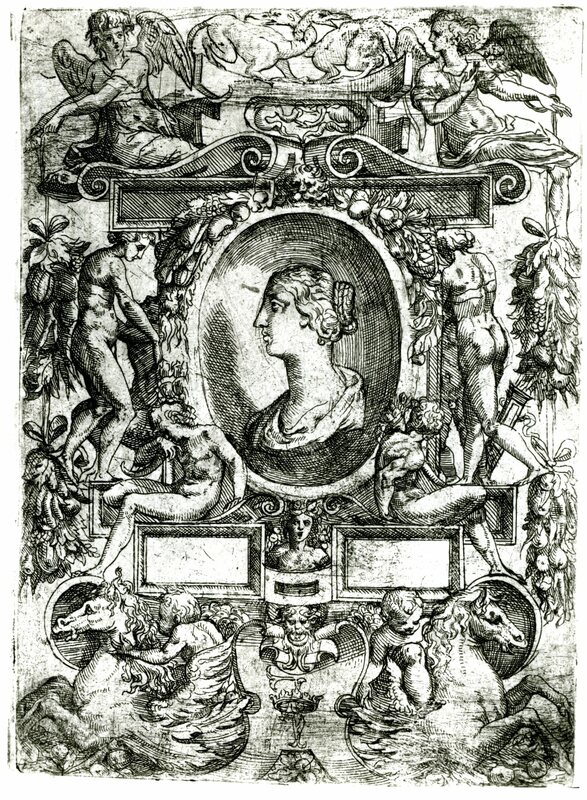 This etching closely copies Fantuzzi’s etching (Fig.E.82), in the same direction, that may be derived from a lost drawing by Rosso for his lost decoration of the Small Gallery at Fontainebleau (L.41). 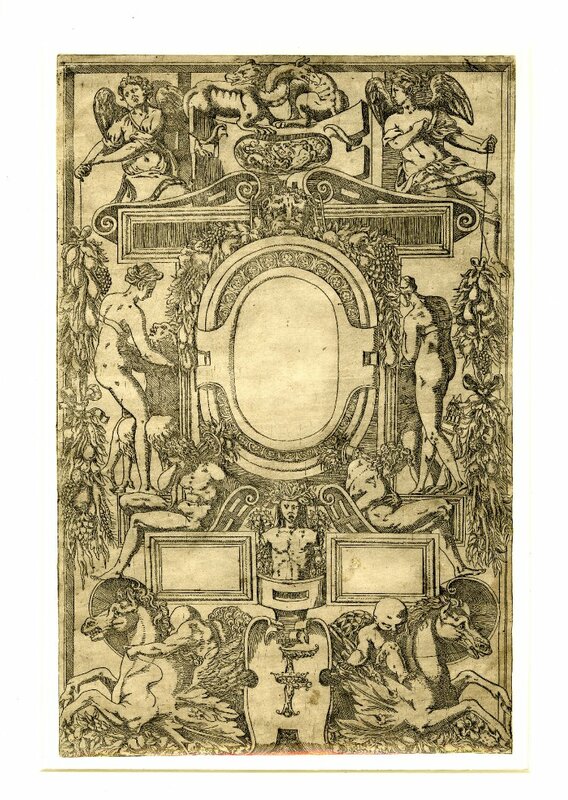 However, the F at the bottom is reversed in Du Cerceau’s etching, and there are other small additions and variations, such as the head above that F. It is also related to Du Cerceau’s Grand Cartouche, Second Set, 5 (E.56,5). COPY: Moro. Vertical Cartouche with putti riding winged horses below framing an oval containing the bust of a woman. Etching and drypoint, 17.6 x 12.6 P (Vienna). Bartsch XVI, 1818, 84, 15, as Schiavone. Herbet, II, 1896, 271, (1969, 67), under Fantuzzi, no. 8, and Herbet, IV, 1900, 302 (1969, 152), under Du Cerceau, V (Grands Cartouches), 5, and 306 (1969, 156), VI (Petits Cartouches), 20, as Schiavone. COLLECTION: Vienna, Vol. It.III.2, p.5, upper left, State I (Fig.E.57,7, Moro), upper right, State II (inscribed on two plaques: Andrea Schiaon f.). LITERATURE: Zerner, IB, 32, 1979, 126 (State I, Vienna), as by G.H. Pittoni? De Jong and de Groot, 1988, 228, under 542.20, as Pittoni. Copied with variations from Du Cerceau’s print. Moro has added the profile bust of a woman in the center oval.